Vitamin C is one of the most effective topical skin lighteners out there. However, commercial and store-bought Vitamin C-based skin lighteners usually contain very small amounts of this ingredient. If you find that your Vitamin C skin cream isn’t working as it claims, there’s a good chance you’re not actually getting enough of it to make a difference. On top of the potentially small amounts of Vitamin C added by the manufacturer, Vitamin C is also not a shelf-stable ingredient—meaning it breaks down easily over time. Most creams nowadays are imported and shipped over long distances, and it’s not unusual to purchase something that was made several months ago. Add to that several uncertainties that are beyond our control, such as the temperature the products were stored, handled and transported (Vitamin C also breaks down in heat and sunlight), and it’s no wonder why some Vitamin C creams work less effectively than advertised, or not at all. This is relatively cheap, uses few ingredients and is very simple to do. Add a small amount of the powder to some cool water. You can use a small bottle (such as a travel-sized plastic bottle). Dab this mixture (or serum) over the areas you want to treat. Keep the remaining mixture refrigerated and use up within a week at the most. If you’re not able to refrigerate the serum, keep it in a tightly closed bottle in a cool, dark place (eg in a drawer or cupboard). If kept well, this serum should stay largely clear and may develop a slight yellowish tinge after a few days. When it starts looking distinctly yellow, it’s time to discard it and make a fresh serum to use. Because of this, it’s better to make the serum in small batches. Use a small bottle to make your serum instead of a large one. Alternatively, you can also make your own Vitamin C face cream or body lotion by mixing the powder with one of your favorite unscented creams or lotions. It’s best to use a cream that has as few chemicals and perfumes as possible (such as a simple cold cream or a natural shea butter cream) to maintain the integrity of the Vitamin C.
A DIY (do-it-yourself) Vitamin C cream or lotion should last longer than a DIY water-based serum, but you should still discard it when the cream turns yellow. It will not be harmful, just ineffective, as the yellowness indicates that the Vitamin C has oxidized. How much Vitamin C powder to use? The best ratio of Vitamin C powder to water will vary depending on your skin sensitivity. Also, the skin on your face is much more sensitive than the skin on the rest of your body. So you can adjust the amount depending on where you plan to apply the serum. Start out by adding a small amount of Vitamin C powder first. Add a little more if needed. Experiment and you’ll find the best ratio for your skin. In general, the mixture should not be so strong as to cause excessive stinging or redness when applied (a little stinging is okay and might actually help increase cell turnover and absorption). It’s very important to avoid sun exposure soon after applying any Vitamin C serum, as your skin will be more sun-sensitive and vulnerable to re-darkening and hyperpigmentation then. To eliminate this risk, apply the serum only in the evenings or before going to bed at night. You might be able to find pure Vitamin C powder from your local pharmacy or health food store. Compare prices. Vitamin C powder is relatively cheap in general. You can also find pure Vitamin C powder online. Aside from the vitamin C serum, I have two questions. Would a mixture of honey and yogurt be effective in skin lightening? Also, would tomatoes help skin lightening? While doing some research on these, I came across this website and I find it to be amazing because of all the research and sources provided for each claim. I love all the advises here, but I wanted to ask If you could make a page on these 2 home remedies or post me an informative reply. I’m really curious as to find out if these three ingredients could also play a role in effective skin whitening as well. hope to hear back soon, please keep up the great work! i can’t found vitamin c powder can i use vitamin c tablets ? secondly i m 30 . i have dark circle, can vitamin c is effective for dark circle or not? Try vitamin K for dark circles under eyes. I am using Uvl Turmeric Night Oil & Day Cream on my dark circles and it’s working wonders on my dark patches . Does it help to clear the marks? How long have u been using this for? Does it have any side effects? Are there harmful ingredients in there like mercury, hydroquinine etc? Giving this self made serum a shot, developed dark circles and some puffiness under the eyes in the last year or so, never had a prob before I’m 48 and most still guess I’m around 38-39 so the dark eyes are not aging me but always a bit consious of them playing in a band and all. I’ll report back in a few days on any positive results, just made my first serum batch and applied. Thank you for the info and great idea! Isn’t it true our skin resist to absorb water soluble vitamins. How this water dissolved vitamin C will be absorbed by our skin?? if vit c powder is not available, it is possible to crush vit c and use that to make the serum? I have been looking for a good Vitamin C serum for YEARS now. My friend recommended the Three Berry face Serum, from Made from Earth skincare, and I didnt know the Three Berry Face Serum was a Vitamin C serum, but it is – and has alot of vitamin c!! Wow, I did NOT expect this stuff to work so fast, so well and for all day! As soon as I apply just a tiny bit, my dry, over-40 skin looks GREAT! It’s VERY supple and hydrated. My skin looks more elastic, younger and brighter. I’ll be buying more when I’m finished. My husband also likes it and says he’s noticed his 40-yr old skin looks fresher and younger. I would like to know where I can get this product. Hi, would you please let me k ow where to get the three berry product in South Africa. First of all ascorbic acid IS NOT A VITAMIN C!!! And second – real vitamin C brakes down very quick. So, make it every time fresh. 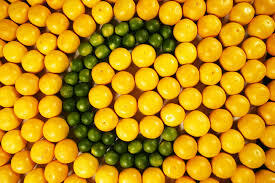 VITAMIN C = ASCORBIC ACID. Check your facts. Of course ABSORBIC ACID = VITAMIN C. Where did you learn that it is not? I use Abscorbic C powder mixed in a little warm water and Sorbolene cream. $34.95 plus tax for a 1 lb. container of fine powder (not crystal) Vitamin C.
You can purchase L-asorbic acid crystals from Whole foods. Otherwise online in the fine form from several places for less than ten dollars. please i want to know the Procedure how to make body lotion cream….thanks…!!!! Please don’t buy just any ascorbic acid, many over the counter vitamin c’s will not dissolve completely. Don’t Put your l ascorbic acid in plain water, and just stick it in the refrigarator. This won’t work, if you do put some glycerin and a vitamin e capsule mixed in with it. It will last a lot longer. If you are going to mix with just water, then do it each and every single day. Start out with about an 1/8 of a teaspoon of distilled water, not tap water, and put enough droplets of water in it, to make the l ascorbic acid clear. Then mix it with a tiny bit of plain cream, that has no other actives, or use it with a few drops of vitamin e and a tiny bit of cream. The vitamin c serum needs a way to transport into your skin, all it is doing is hitting the top layer of your skin, we have seven layers of skin, we want the product to go as deep down into our skin tissues, that it possibly can. Type in diy l ascorbic acid, and you will come upon two forums, many of these people know how to compound correctly, just about anything, they taught me all the knowledge I have now. As for Made from Earth, they are on every blog post, pushing their products, which is good I guess. But, I know where they get it, and you can get it in a pint for the same price, they are asking for one ounce. Just learn to Google, and put in DIY with whatever your looking for. i use fresh lemon juice. Eventually you want to proceed further for your water and oils to emulsify, then you will have to purchase an emulsifier, which are pretty cheap. Maybe a preservative like optiphen, but for now, this is pretty effective. The vitamin will work in synergy to boost the vitamin c, plus, is a great antioxidant on it’s own, and help preserve your vitamin c longer. Once you get the hang of this, then you might want to move up and make the C+E + ferulic. Go to you tube, a person I won’t say the name, but, who basically has spread the word and showed others how to Do It yourself, DIY, has a video to show you exactly how to make it. well i have vitamin C tablets. I can dissolve it in water and can add glycerin and vitamin e gel to that and mix it well and can use on my face? as i have dark spots on my face and more over my skin is oily. Advice me this works or not? I’ve bought some vitamin c powder and I’m going to try making the serum at home. Really hope it works. I’ve been taking 3000 vitamin C a day for around a month and fhave found that it’s working really well on my body and my skin, in general, does seem a lot brighter but I can’t seem to stop my face from tanning. Hopefully, it will sort out the brown face, yellow body thing I’ve got going on at the moment. Would it be ok to add it into sudocrem, as this is what I usually use at night? Think it might be a bit too chemical-y though. It’s probably best to keep it simple (I use it with plain water and it works wonders), but you can add it to your night cream and test it on a patch of skin first to be safe. Thanks for coming back with an update, Samina! 🙂 I’m glad to hear it’s working well for you. Vitamin C is still one of my favorite skin treatments. It’s so much more effective than any cream I’ve ever used. I wish more people knew about it. Try Mixing 1 Dalacin C tablet with 75 Ml white eskinol. works for me too. Can i mix vitamin c tablet in eskinol? Sorry, I’m not sure what eskinol is? Also, if you’re using a Vitamin C tablet instead of the pure powder form, you might need to check what else it contains. Most Vitamin C tablets contain sugar and chemical preservatives. Can I use vitamin c tablets and crush them? Also my health food store has “buffered” c powder? Is that ok to use? Thanks for the advice! You can use them, but check the ingredients list. Most tablets contain sugar and other chemical preservatives. I just slice up a lemon, lime or orange…whatever I have, mix with a little apricot oil (get’s into the skin better than Vit E), and rub on my skin. 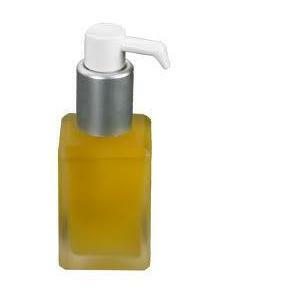 Have any of you tried making your own Vit B3 serum? I have plain Niaminicide, and am wondering if any of you have tried mixing that in with oil, or water, and what is your ratio? i want my body should been yellow which cream i we us? iam using BE ceuticals L.Aa 15% ascorbic acid…..but my skin is getting red at cheeks….what should i do. Hi zarish, do you know what caused your melasma if it’s not hormonal? It might be worth it to visit a doctor or dermatologist to find out as knowing the cause may help you resolve it. Certain drugs can also cause dark patches to appear on the skin. Hi Zarish, please use Turmeric Oil, I say please because I have tried and tested everything else, see my reply to Nantisha above, I have become an Expert in the process of finding a Cream and Oil to help for acne scars and hyper pigmentation, lots of BS out there, I am old enough. I have brown skin by birth. But from past 5/6years my right side of my neck, chest, arm & hand have been black. Nothing work at all. Any solution for that??? Hi , l have dark knees and elbows , is hydroquinone good to treat them ? an is it irreversible ? Hi. Is vitamin c is same as sodium ascorbate? Hi Mary Ann, yes they’re the same. Hi Hessa, thank you very much for having this info here for us. I have a question can you use Buffered C powder? Hi Anne, buffered Vitamin C usually has other ingredients in it like calcium and magnesium. I’m not sure what the effects of these extra ingredients would be on the skin. You can try it if you really want to, but just stop if you see any adverse effects. About the amount, this is something you can find out by trial and error. With pure Vitamin C powder and a small jar of cream, a very small amount will be enough. To give you an idea, for most powders, half a level teaspoon = 2,250 mg of Vitamin C, so there’s high potency even with what looks like a small pinch of powder. So start by putting in a very small amount and mixing it well. Test it on your skin. If it feels ok, it’s up to you to stop or try to add a little more. You want to put in enough powder to have an effect, but not too much that the cream will become too acidic and sting your skin. If the cream stings your skin, it won’t be safe to use in the sense that it’ll feel uncomfortable and make skin more sun-sensitive. As a precaution, it’s best to only use it cream in the evening or at night.